Learn the story of Kansas City's most experienced window covering experts. The seeds for our business were originally planted in 1995 when our owner, Paul Doyle, left his 16-year sales career after responding to an ad in the newspaper which read "Woodworker Wanted". 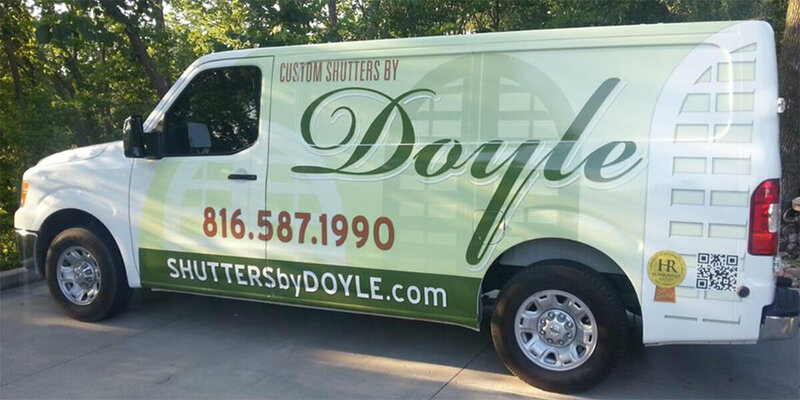 After honing his woodworking skills for several years, Paul decided to start his own window treatment company called "The Shutter Stop", which eventually morphed into the business that he and his wife Rhonda proudly own and operate today - Custom Shutters by Doyle. Over the years, we have had the pleasure to work with dozens of homeowners, builders, and interior designers on a variety of home decor and window covering projects throughout the greater Kansas City area. We believe our long-term success has been made possible by our commitment to providing a level of personal service to every customer that is flexible, friendly, and exceptional. Aside from operating their business together, Paul and Rhonda Doyle spend their time traveling (especially to the beach), and attending events for their "grandbabies", including wrestling tournaments, basketball and football games, and dance classes. Our mission at Custom Shutters by Doyle is to give homeowners a revitalized perspective on their living spaces by providing custom-tailored window treatment solutions that consist of superior quality products and exceptional customer service. Keep up with Custom Shutters by Doyle on Facebook!